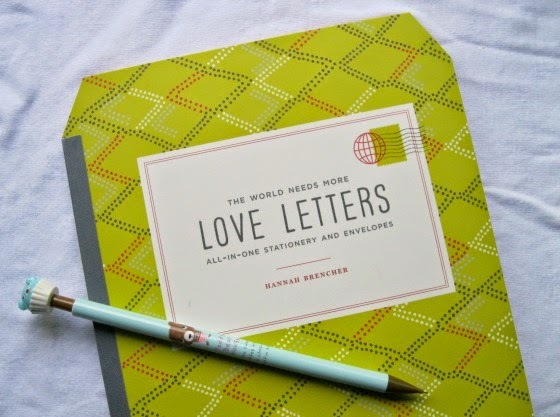 Kitty Adventures: Does the World Need More Love Letters? I received this awesome stationary kit from blogging for books. I love stationary, but since baby I haven't had a lot of time to write letters, and I thought perhaps this would jump start some correspondence. The stationary is cute but not overbearing, and I was surprised to find it came with awesome stickers to close up the envelopes. I have loved the few letters I have been able to send since having a baby! The paper is quite thin, but usable. I was expecting it to be a little thicker. The prompts are all on one page, and I didn't really look at them as I had my own ideas for writing. In short, this is just stationary. Buy if you need some to write some letters!